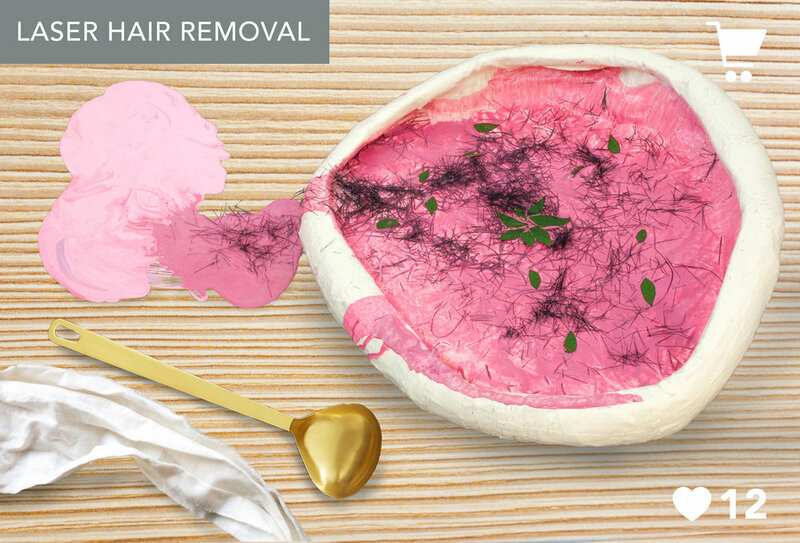 The internet is laughing at you by wedging an ad for laser hair removal between recipes for Steak Tartare and Strawberry Soup. 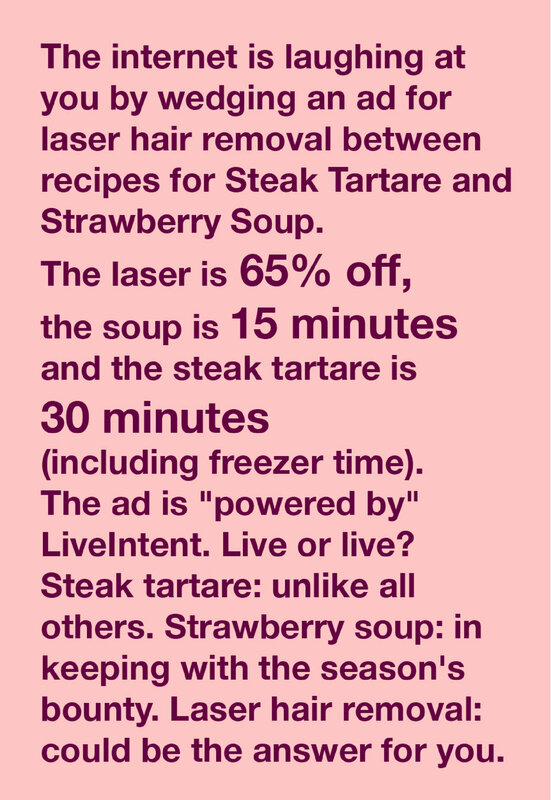 The laser is 65% off, the soup is 15 minutes, and the steak tartare is 30 minutes (including freezer time). The ad is "powered by" LiveInent. Live or life? Steak tartare: unlike all others. Strawberry soup: in keeping with the season's bounty. Laser hair removal: could be for you.